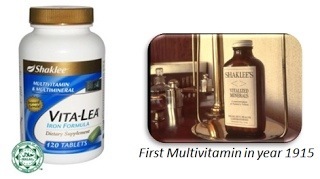 Vita-Lea is the world’s first invented multi-vitamins and minerals. Originally named Vitalize-Mineral and shortened to “Vita-min” subsequently, hence the term of “vitamin”. Emergence of high technology has transformed this liquid based supplement (90 years ago) to today’s tablet form of Vita-Lea. 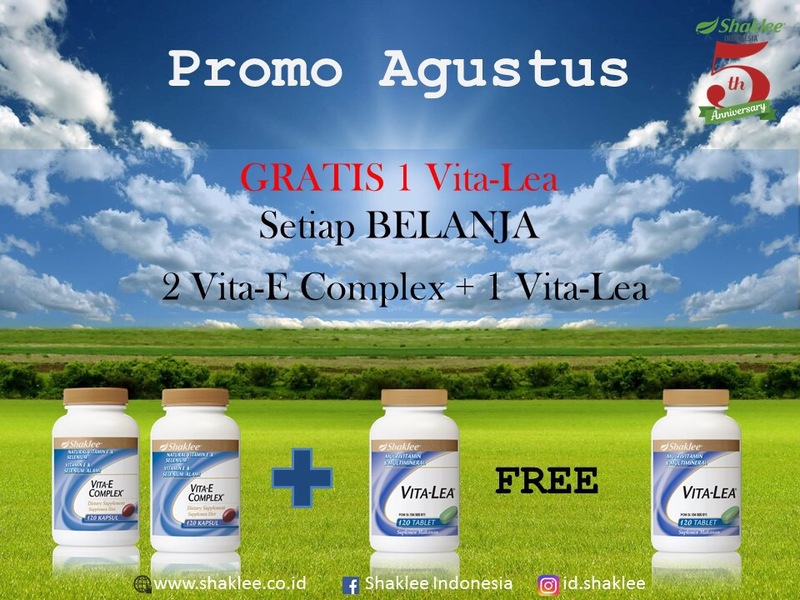 Each tablet contains the nutrient of 41 complete daily nutrients extract from vegetables and fruits, 12 vitamins and 11 essential minerals as stipulated by RDA, and also phytochemical like alfalfa, kelp, rose hip, cherry etc. formulated with most proportionate and well balanced content. The tablet contains nutritional powder which is coated with Spirulina. It is produced by using the most advance and complex explosive technology – “Explo-tab”. It is the world’s fastest disintegration in water and absorption by the body of multi-vitamin. Its minerals integrate with protein for easy absorption by small intestines. It is clinically proven that taking Vita-Lea for 1 year can reduce rate of falling sick by 65%. It is chosen by USA’s Center for Science in the Public Interest 2000 as the best multi-vitamin. #Replenish energy speedily – Replenish energy physical vigour and mental power rapidly, thus improves memory and focus / attention in studies and dealing with workload. #Improves malnutrition – Consume after meal to induce the absorption of various vitamins, also supplement malnutrition arise from poor dietary habit of the modern world, especially vegetarians and anaemia. #Increases reproductive ability – For growing children and teens. Unique formula aids in reproductive ability. #Increases metabolism – Stimulates metabolism, delay ageing. #Key element for cells – Provides basic nutrients, keeps cells alive, induce cells regeneration, aids in growing up, growing hair, muscles and skin, nails, cells and hormone, keeps thyroid gland healthy. #Protects organs – Protects the functionality of kidney, heart and liver. For good vision; improves skin disease; anti-oxidant; fights cancer, nyctalopia (night blindness), glaucoma, respiratory system disease, measles, immune system, removes age spot; aids in growing up; strengthen skeletal; keeps teeth, gum and hair healthy. Strengthen bone density; prevents osteomalacla/soft bone disease, osteoporosis; improves periodontosis and psoriasis. Anti-oxidant; for glowing skin and supple muscles, blood circulation; prevents blood clot; improves heart disease, cataract, degenerative arthritis, men’s reproductive system; dissolves scars. Anti-oxidant; fight cancer; stimulates formation of collagen; increases resilience of attack by external factors; wound healing; improves cold, bleeding gum, blood clot, nose bleed; prevents scurvy. Healthy foetus growth; stimulates the produce of breast milk; keeps red blood cells healthy; low heart disease and cervical cancer; improves anaemia, osteoporosis, depression, healthy skin, mouth ulcer. Helps enzyme in the body to convert food into energy; increases memory; improves anxiety; mental alertness; make blood and stimulates blood circulation, aids in growing up; prevents mention sickness (sea, road); lessen symptoms of herpes zoster. Converts food into energy; improves anaemia; relieves tired eyes, contaract, mouth and tongue inflammation, cramps during pregnancy. Converts food into energy; produces hormone; stimulates blood circulation; low blood lipid; treats dizziness, colon and stomach ailments, diarrhea, migraine, mouth ulcer, bad breath. Metabolises protein; repairs muscles; improves PMS, mood swing, fatigue, vomit, dry lips, glossitis, fat leakage dermatitis fits cramps, numbness, anaemia. Healthy foetus growth; aids in growing up; increase appetite; nerve communication (responsiveness); mental stimulant, physical strength; memory and attentiveness (focus), re-productive ability; improves serious anaemia, fatigue, anxiety, diabetes, poor vision. Helps B-Complex to function effectively; fat metabolism; prevents early graying and hair loss; improves diabetes, muscles pains, eczema and skin inflammations. 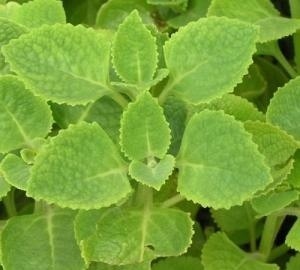 Alleviates stress, calms emotion; improves allergies, constipation, fatigue, arthritis; alleviates harmful and side effects of antibiotic, prevents infections; accelerates wound recovery. Strong skeletal and teeth; regulate muscles contraction, blood clot; improves numbness, cramps, pains, insomnia; maintains normal heart beat; prevents osteoporosis, osteomalacia/soft bone disease. Increases bone density; improves diabetes, kidney gallstones; prevents brittle bones, anorexia; aids in growing up; eases pains caused by arthritis. Forms thyrold gland; helps in healthy foetus growth, children’s intellect; develops tendon and connective tissue, physical strength; controls body weight. Forms haemoglobin; improves anaemia, menstrual pain, fatigue; aids in growing up; combats disease. Healthy skeletal and teeth; relaxes muscles and nerve system; improves diabetes, heart disease; natural tranquiliser, prevents depression, kidney gallstones; liver gallstones, indigestion. Helps to convert Iron as oxygenated haemoglobin; improves indlammations of any kind; healthy hair; improves edema, skeletal related disease. Strengthen immune system; accelerates would healing; male’s sexual ability; prevent prostate related disease; improves senses of taste and smell; mental sharpness. Pertanyaan mengenai tanaman/sayuran utk menambah, memperbanyak & mengentalkan ASI sering sekali ditanyakan di milist/FB grup. Keunggulan pemberian ASI eksklusif antara lain meningkatkan gizi bayi, menurunkan berat badan ibu setelah melahirkan dan sebagai alat kontrasepsi alamiah (Fewtrell, 2007). Asupan makanan ibu menyusui ikut menentukan kualitas ASI-nya (Dijkuizen, 2001). Saat ini banyak sumber makanan berkualitas yang dipercaya baik secara turun-temurun maupun yang sudah terbukti uji keilmiahannya dalam meningkatkan kualitas dan kuantitas ASI, misalnya dari golongan sayur-sayuran; daun katuk (Sauropus androgynus), jagung muda (Zea mays), daun bangun-bangun (Coleus amboinicus), dan sebagainya. Kuantitas ASI juga ditentukan oleh berapa banyak volume ASI yang diproduksi oleh kedua payudara dalam sehari. 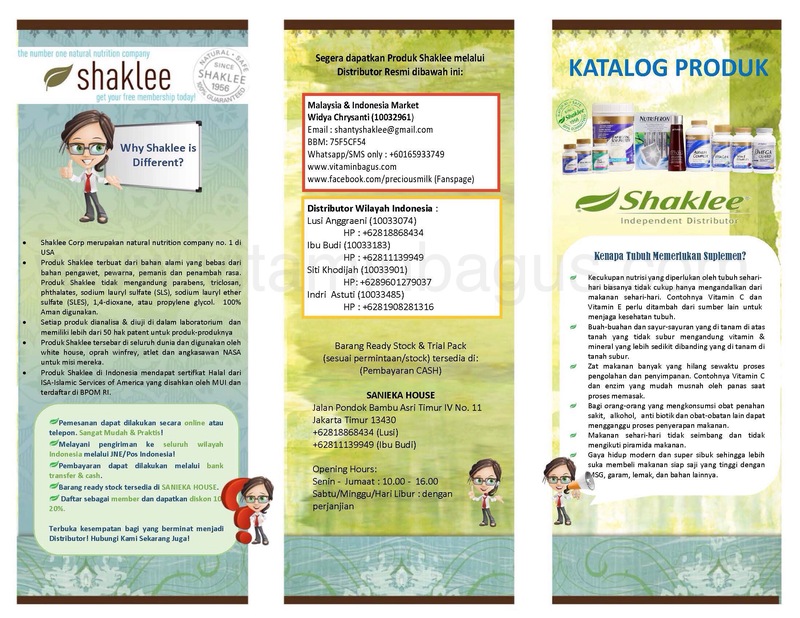 Kualitas ASI ditentukan oleh jenis makronutrien (karbohidrat, protein, lemak) dan mikronutrien (vitamin dan mineral) dalam ASI (Sihombing, 2006; Damanik, 2001). Laktagogum merupakan zat yang dapat meningkatkan dan melancarkan produksi ASI. Sampai saat ini masyarakat masih menaruh kepercayaan besar pada laktagogum dari bahan tradisional alamiah dibandingkan hasil produksi pabrik yang modern ataupun sintetik karena telah dibuktikan berdasarkan pengalaman secara turun-temurun (Kaliappan, 2008). 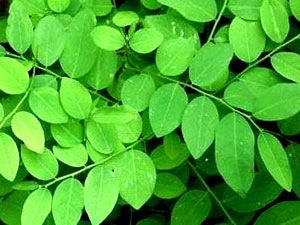 Di Indonesia, tanaman yg terkenal sbg laktagogum adalah daun katuk dan daun bangun-bangun. Daun katuk dikonsumsi dalam bentuk sayur rebusan atau dilalap. Daun katuk mengandung steroid dan polifenol yang dapat meningkatkan kadar prolaktin. Pada pemberian daun katuk ditemukan peningkatan kadar hormon steroid adrenal. Kadar prolaktin yang tinggi akan meningkatkan, mempercepat dan memperlancar produksi ASI. 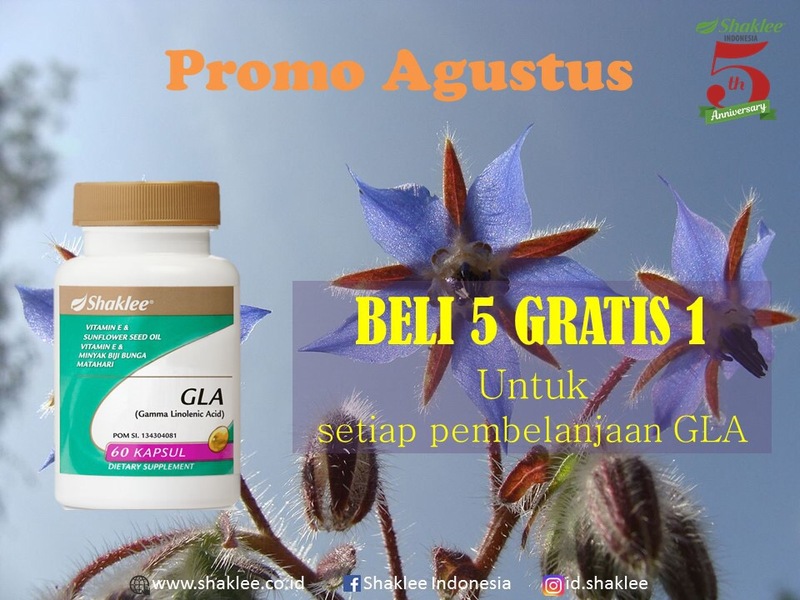 Daun katuk juga mengandung alkaloid, sterol, flavonoid dan tannin. Selain utk menambah produksi ASI, daun bangun-bangun juga membantu pemulihan rahim pasca melahirkan, membantu mencegah infeksi, dan meningkatkan imunitas si ibu. 1. Petik daun katuk/daun bangun-bangun, pisahkan dari batangnya. 2. Cuci daun sambil diremes-remes, disobek-sobek dan digosok-gosok dgn telapak tangan daun-daunnya dgn air mengalir, hingga warna bilasan tdk pekat. 3. Masak dgn santan dan bumbu-bumbu dasar (biasanya saya pakai bumbu sop), bs tambahkan ceker atau daging. Bisa juga ditambah labu kuning.. Endang banget mom!! A substance that increases milk supply is called a galactagogue. Some of the most commonly used herbal galactagogues are fenugreek, blessed thistle, and alfalfa. 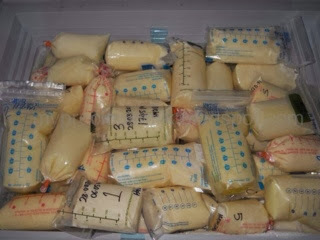 There are also several prescription medications that can increase milk supply. 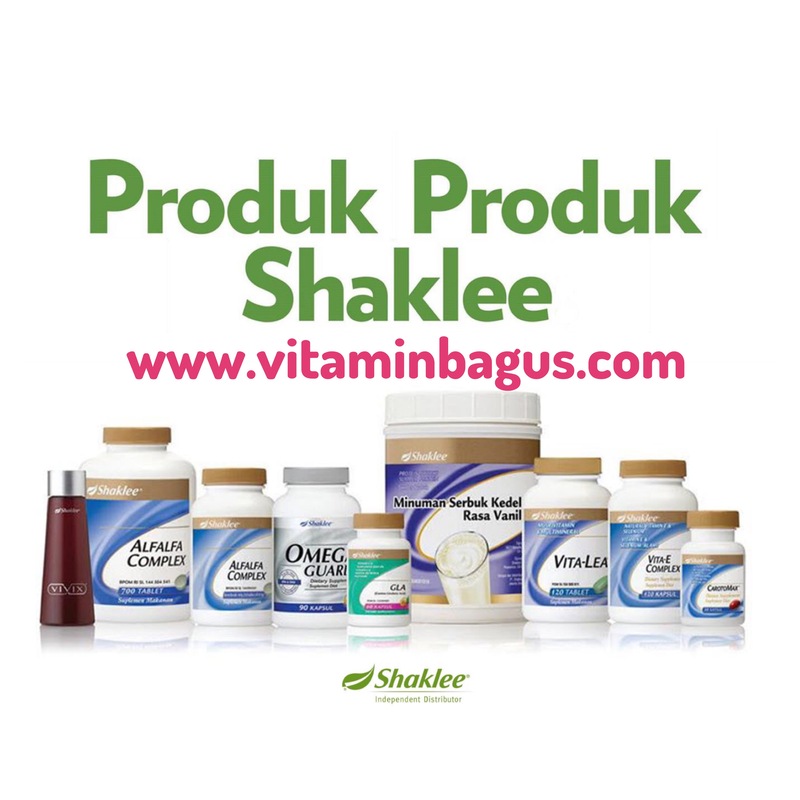 Bagi bunda yg tidak sempat utk mencari daun katuk/daun bangun-bangun.. Tidak sempat metikkin daun, bilas apalagi masak.. Shaklee punya solusinya! 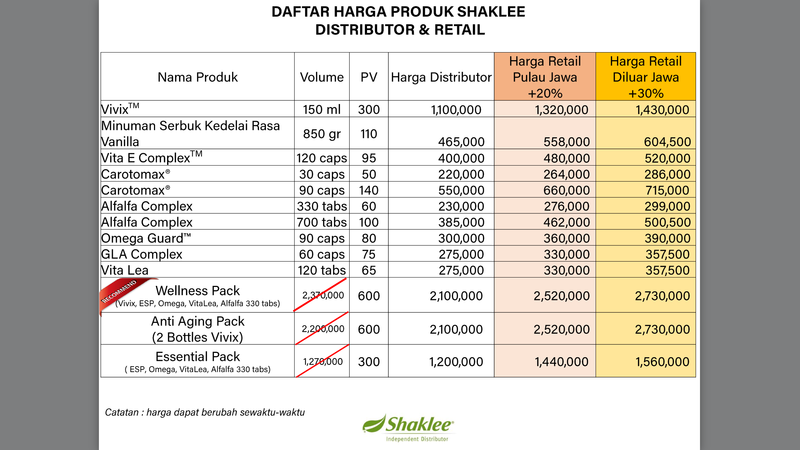 Alfalfa Complex Shaklee merupakan salah satu produk Favorit Ibu Menyusui karena meningkatkan produksi ASI! 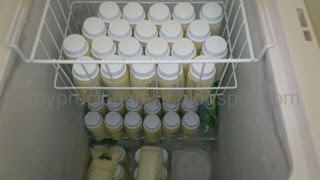 Sebagai asupan Calcium terutama bagi bunda yg males minum susu!